Neuroscience: the word oozes sophistication and intelligence – the very qualities we might want to nurture in our students, our children, our general populace. Maybe that’s why many people involved in education around the world are persuaded that what neuroscientists have learned about how the brain works has important and direct implications for education and classroom practice. This excitement around “brain-based learning” – as if learning could occur anywhere else – and “neuroplasticity” is irrelevant at best, and at worst has been a major distraction without any practical meaning for educators. And yet some governments and schools are already considering high-cost brain training programs despite a lack of evidence of any educational benefits. All the while, the people who actually do this brain research – the neuroscientists themselves – don’t think their findings can be applied in a classroom setting. It’s time for educators, policy-makers and the public to realise the limitations of neuroscience in education and to see the hijacking of neuroscience for what it is. In September 2007, Science published a statement signed by 119 prominent neuroscientists, which declared that brain science is not yet ready to relate brain processes to classroom outcomes. This has happened for numerous reasons. I’ll mention just two. The first reason is that enthusiasm for the idea neuroscience can contribute to an understanding of educational matters is largely based on research on brain imaging. But how brain-imaging research works is very poorly understood by educational policy-makers, educators and the public. Accounts generally include drawings of the brain with certain regions coloured, and text that says “Brain region X lights up when we are doing Y”. This gives the impression that while people are doing Y, a photograph is taken of the brain, and any region of the brain where there is a great deal of neural activity will look different from other regions in the photograph. But brain imaging is nothing like that. First of all, the measurements that a brain scanner gives you do not directly reflect how active a region of the brain is as a task is being performed; the measurements are much more indirect. 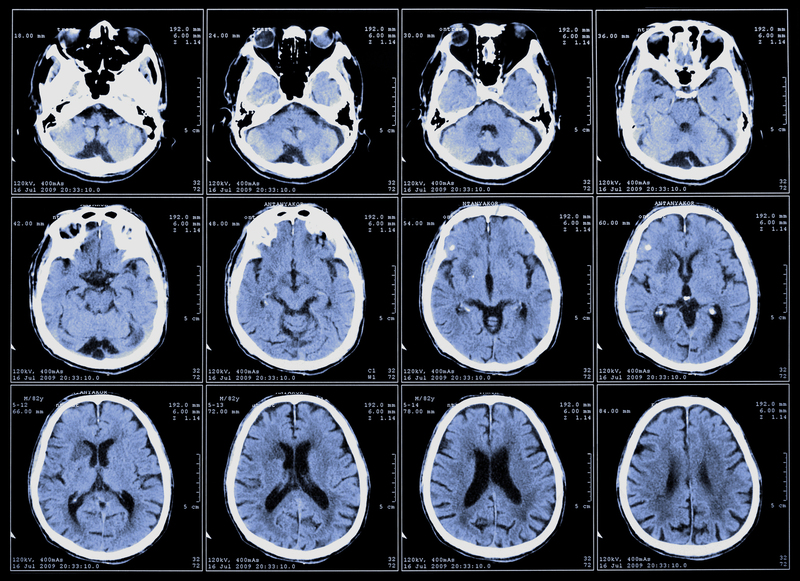 What is actually measured by brain scanners is the content of the blood that is flowing through each brain region – specifically, the ratio of haemoglobin in the blood that has oxygen bound to it to the amount of haemoglobin in the blood that has no oxygen bound to it. What’s the connection between brain scans and neural activity? Well, if some region of the brain has just been working hard, that region needs a supply of oxygen brought to it in the blood. In such a region, the blood vessels will dilate, and so will bring in extra oxygenated haemoglobin. So a few seconds after this hard work has been done the haemoglobin ratio will be high. So what do we mean by a “high” haemoglobin ratio here? That can only be answered by comparing two conditions, or by comparing two groups of subjects. What is being compared is crucial in this. But one rarely sees that stated in popular accounts of brain-imaging research, and that is the basis of many errors in these accounts. Here’s an example. In one brain imaging study the brains of male subjects were scanned as they listened to male or female voices. The neuroscientists who published this study reported that the presentation of female voices, when compared with male voices, produced greater activation of a particular small brain region, the right anterior superior temporal gyrus. So if you subtracted the scanning data with male voices from the scanning data with female voices and presented the results via a brain picture, you’d see that this region “lights up” when the voices are female. This does not, of course, mean that this region does not also respond when men are listening to male voices; it just doesn’t respond as much. But if you fail to appreciate that there’s always a comparison involved in these kinds of pictures, you might fall into the trap of concluding that men don’t use the right anterior superior temporal gyrus at all when listening to male voices. This is exactly what a journalist writing for ABC Science in 2005 claimed this study showed. Anyone who has taken Neuroscience 101 knows that the superior temporal cortex on both sides of the brain is called the “auditory cortex”, and this is because it is the region of the brain that is responsible for basic hearing – including the hearing of male voices by male subjects. A second reason for over-optimism about what neuroscience might contribute to education is the failure to see that referring any psychological ability to a particular part of the brain does not have any explanatory value at all. In 2007, the Guardian newspaper published an article that was called “Brain scans pinpoint how chocoholics are hooked”. The brain imaging study on which this article was based showed that when subjects were exposed to chocolate, regions of the brain associated with the experience of pleasure and reward were more active in subjects who reported that they often craved chocolate than in subjects who reported that they never did. The original article did not offer this as an explanation of why some people crave chocolate and some don’t; but the Guardian journalist did. It isn’t an explanation at all, of course; it simply confirms that people who like chocolate show more activity of regions of the brain associated with liking when they are exposed to chocolate than do people who are indifferent to chocolate.